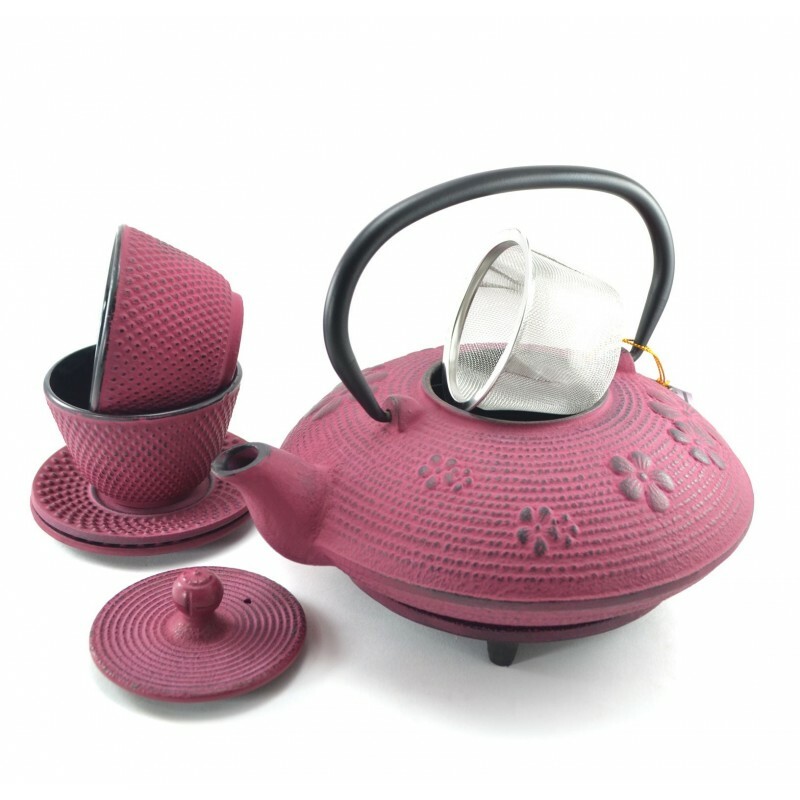 Crafting a quality tea set such as the Pink Flower Cast Iron Tea Set requires precision and skill. It is covered in lovely cherry blossom flowers, the national flower of Japan. Cast iron distributes the heat more evenly and this brews better tea. Plus, the sturdy cast iron pot, saucers and cups will last forever. 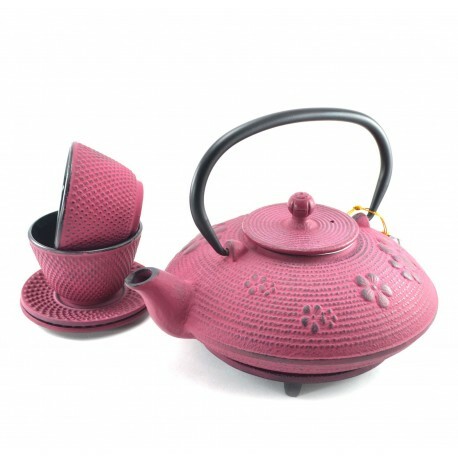 Capacity of Teapot 650 ml or 21.9 Oz.